Property Law is complex and Velos & Velos Family Lawyers can help you buy, sell or transfer any type of property with ease. Rather than a no frills online solution, we offer tailored Legal advice specific to your legal, and financial position at a very affordable price. Our expertise can help you save on costs, position yourself for better understanding of your real property, tax and other entitlements such as to protect you from developers when you buy off the plan or when they fail to meet their obligations with sunset clauses. Why Choose a Lawyer for Conveyancing? Someone who is only a qualified conveyancer may not have the legal experience, breadth of knowledge, nor the legal knowledge required to be able to provide sound advice for the various considerations that many clients have when they need conveyancing. These areas are just some of the many that conveyancers cannot provide legal advice for and would need to either refer you on, or outsource the work to a qualified and practising lawyer. Generally, a lawyer is best suited to helping guide you through the risks, legal obligations and rights. 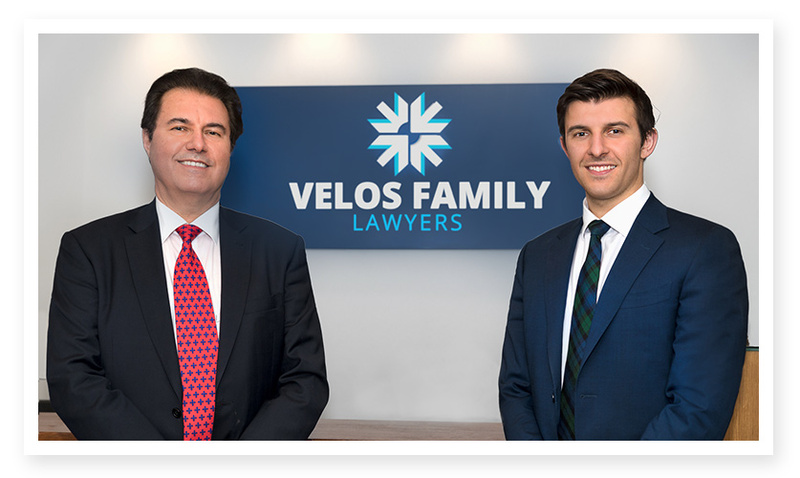 Let Velos & Velos Family Lawyers help your next property transaction run smoothly, efficiently, and cost effectively. From purchasing the family home, to residential investments, we can handle your residential property conveyancing needs with ease. We review contracts in great detail to ensure that it is fair and legal, and we look at your situation to confirm that it not only meets your legal needs, but also that it suits your situation. With our help, you can avoid the common legal pitfalls that many face and save yourself considerable money, time, and stress. If you have a need for commercial property conveyancing, we can complete all of the legal documents necessary for the transaction. We can also serve as an intermediary, liasing with potential buyers and sellers to negotiate terms on your behalf. If you haven’t bought a business property such as a shop, factory or warehouse before, you may be unaware of many of the legal hurdles. Let us help you reduce your stress with our 35+ years of conveyancing experience. As Melbourne becomes more crowded, land subdivision is becoming more common. Not only is it a great way to rejouvenate an area, but it can be highly profitable at the same time. We can help you maximise your profit by guiding you through the complex legal steps involved in land subdivision. Buying off the plan can have its risks, we can help you identify these risks, and determine if your contract and vendor is suitable. With us looking over your contract you can be confident that you understand the process, costs and legal obligations and risks before you make a commitment. Whether you have sold off the plan before or not, you probably know that creating a contract for buyers is a complex process. We can guide you through the process by careful consideration of every element in the sale. With our help, you will ensure that you are adequately protected in the event of things not running to plan, and have appropriate legal protection in the unfortunate event of requiring it. We can help you understand land transfers for wills and deceased estates, transfers of property after a divorce or separation and more. With our help, completing a transfer of property is simple, inexpensive and stress free. Or do you just need advice? If you are still in the planning stages of property, speak to us and get advice from the experts about how this will impact you. Legal details can be complex, and the risks associated with these legal obligations are important to understand. With our expert help, property transfers are easy. So rather than risk costly mistakes, speak to us today about conveyancing.